Though she was born to a prominent family, Kate would grow up to be just one of the many “soiled doves” of the American West, as well claiming a small slice of fame as Doc Holliday’s on and off girlfriend. Born Mary Katherine Haroney in Hungary on November 7, 1850, Kate was the daughter of a physician who had been appointed as the personal surgeon of Mexico’s Emperor, Maximillian, in 1862. With the appointment, the family left Hungary for Mexico, but in 1865 Maximillian’s rule crumbled. The Haroney family fled the country and settled in Davenport, Iowa. On March 26, 1865, when Kate was just fourteen years old, her mother died and just two months later, her father passed away too. Kate and the rest of the children were placed in foster homes. In 1867, Kate was in the care of a man by the name of Otto Smith, but the young woman cut her stay with Smith short, stowing away on a steam ship headed for St. Louis, Missouri. Though the ship’s captain, a man named Fisher, found her, he did not put her off the ship, but rather, allowed her to stay on to St. Louis. There, she assumed Fisher’s name and enrolled in a convent school. Later, Kate married a dentist by the name of Silas Melvin and the couple had a child. However, both husband and child passed away in the same year. By 1874 Kate was said to have been in Wichita, Kansas and later she was working in a sporting house for Nellie Bessie Earp the wife of James Earp. Though Kate always stated that she did not meet Wyatt Earp until she was in Fort Griffin, Texas, she and Wyatt Earp were in Wichita at the same time, and it has been speculated that she had a relationship with Wyatt at that time. In 1875 she was going by the name of Kate Elder and was listed as being in Dodge City, Kansas working as a dance hall girl. A couple of years later she moved south to Fort Griffin, Texas, she met Doc Holliday at John Shanssey’s Saloon, where Holliday was dealing cards. 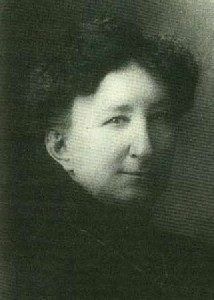 By this time, Kate had earned the nickname “Big Nose” Kate. While the dance hall girl and prostitute was attractive, she did have a prominent nose. Kate was tough, stubborn, and with a temper that matched Doc’s. She said she worked the business because she liked it, belonging to no man, nor to any house! Kate would spend the next several years with Holliday, traveling to Kansas, Colorado, South Dakota and New Mexico. Their relationship was often rocky, with Kate still plying her trade as a prostitute from time to time. While still in Fort Griffin in 1877, Doc was dealing cards to a local bully by the name of Ed Bailey, who was accustomed to having his own way without question. Bailey was unimpressed with Doc’s reputation and in an attempt to irritate him; he kept picking up the discards and looking at them. Looking at the discards was strictly prohibited by the rules of Western Poker, a violation that could force the player to forfeit the pot. Though Holliday warned Bailey twice, the bully ignored him and picked up the discards again. This time, Doc raked in the pot without showing his hand, nor saying a word. Bailey immediately brought out his pistol from under the table, but before the man could pull the trigger, Doc’s lethal knife slashed the man across the stomach. With blood spilled everywhere, Bailey lay sprawled across the table. Knowing that his actions were in self-defense, Doc did not run. However, he was still arrested and incarcerated in a local hotel room, there being no jail in the town. Bully or no, a vigilante group formed to seek revenge on Holliday. Knowing that the mob would quickly overtake the local lawmen, “Big Nose” Kate devised a plan to free Holliday from his confines. Setting a fire to an old shed, it began to burn rapidly, threatening to engulf the entire town. As everyone else was involved in fighting the fire, she confronted the officer guarding Holliday with a pistol in each hand, disarmed the guard and the two escaped. Hiding out during the night, they headed to Dodge City, Kansas on stolen horses the next morning, registering at Deacon Cox’s Boarding House as Dr. and Mrs. J.H. Holliday. Doc so appreciated what Kate did for him, that he was determined to make her happy and gave up gambling, hanging up his doctor’s shingle once again. In return, Kate promised to give up the life of prostitution and stop hanging about the saloons. Learning that Wyatt had headed to Tombstone, Arizona to a new silver strike, Doc headed in the same direction. 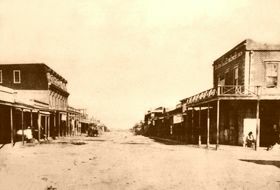 Unknown to Doc, Kate was also in route to the new boom town of Tombstone and the two ran into each other in Prescott, Arizona. Doc was winning heavily at the tables and pocketing $40,000 in winnings, Kate was happy to keep him company. In the early summer of 1880, the two reached Tombstone. Shortly afterwards, Kate was running a boarding house in Globe, Arizona, some 175 miles away from Tombstone. However, she was known to often stay with Doc when she visited. Many times when Kate visited Holliday, they were known to have frequent arguments, most of which were not serious until Kate got drunk. Often, her drunkenness would escalate to abuse, and in early 1881, Doc had finally had enough and threw her out. On March 15, 1881, four masked men attempted a hold up on a stagecoach near Contention and in the attempt, killed the stage driver and a passenger. The Cowboy faction of Tombstone immediately seized upon the opportunity and accused Doc Holliday of being one of the holdup men. The sheriff who was investigating the hold-up, found Kate on one of her drunken binges, still berating Doc for throwing her out. Feeding her yet even more whiskey, the sheriff persuaded her to sign an affidavit that Doc had been one of the masked highwaymen and had killed the stage driver. 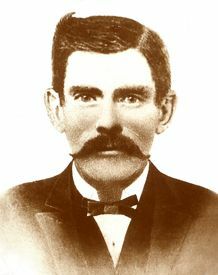 From 1882 until the time of his death in 1887, Doc Holliday was in Colorado. During this time, Kate was apparently also in the state, at least part of the time, as her brother owned property in Glenwood Springs. According to some reports, Doc may have actually spent time with Kate and her family as her brother’s home was very near to the Sulfur Springs that Holliday visited to try to help his tuberculosis. Kate stayed in Colorado until after Holliday’s death. In 1888, Kate married a blacksmith by the name of George M. Cummings, and the two moved to Bisbee, Arizona, only a few miles from Tombstone. They also lived for a time in Pearce, Arizona. In 1889, Kate left her husband and moved to the tiny railroad town of Cochise, Arizona at the junction of the Arizona Eastern and Southern Pacific railroads. John J. Rath hired Kate to work in his Cochise Hotel in 1899, although the customers never knew her true identity. She left the Cochise Hotel in the summer of 1900, and moved in with a man named Howard, from the mining town of Dos Cabezas. She lived with Howard until his death in 1930, inheriting his property. In 1931, she wrote to the Governor of Arizona, George W.P. Hunt, requesting admission to the “Arizona Pioneers Home.” Being foreign born, she was not eligible for admission, but claiming she had been born in Davenport, Iowa, she was accepted to the home. Kate stayed at the Pioneers Home until her death on November 2, 1940. She was just five days shy of her 90th birthday. She wasn’t called big nose Kate because she had a big nose. She was called that because she couldn’t keep her nose out of other people’s business.